It costs the same amount to talk to poor quality customers as great ones. We can help you identify your ‘Best Customer’ profile before you start spending valuable media dollars. They’ll understand (and appreciate) your value proposition, spend more, cost less to service, and be less likely to defect. All this for a little time and effort up front. Is your business struggling with the ‘Digital Tsunami’? You know you have to ‘get into digital’ but don’t know where to start, or who to trust? Start here. Your website is “Ground 0” for your brand, and the first point of contact for potential leads. It needs to convey quality, reliability, and efficiently convert ‘browsers’ to ‘buyers’ (or capture contact information for later). ‘Content’ is everything in today’s marketing. You don’t just need great writing; it also needs to be strategically “on message”, tactically-aligned and take into account SEO and other search requirements. You know those Google Ads you never click on? Well millions do every day and they create lots of revenue for businesses just like yours! Wish you could put your E-mail capability on steroids? Marketing Automation is that, and so much more. You still need great content but marketing automation delivers layers of ongoing contact-nurturing on schedules you determine. On any given day, your lists can be receiving a variety of messages, from pre-determined streams providing highly-relevant information, and keeping you top-of-mind until your prospects are ready to buy! Thinking about Loyalty Marketing? There’s lots to consider… like will a loyalty program actually grow and retain the right customers (or just cut costs for ‘existing’ customers)? We can help you assess whether Loyalty is the right approach for your organization. 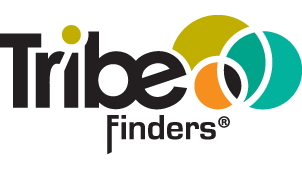 TribeFinders® drives results by helping you ‘identify’ your ‘Best Customer’ prospects, then deploying relevant messaging via the most appropriate channels ─ be that traditional, digital, mobile, social media, (or any combination) ─ to engage your prospects to learn how your products solve problems, and meets their needs. Unfortunately, the famous John Wanamaker quote is just as relevant today. While digital is getting results, it is still easy to overspend with little or no additional impact. Recent coverage has pointed out the downsides of “set-it-and-forget-it” approaches to digital media (dodgy ‘programmatic’ placement, spend that fails to deliver incremental benefit and shows no falloff in results when reduced, chasing stats that don’t move the ‘Sales & Profit needle’, etc.). Media is again being sold and metric’d based on “impressions”. While digital promised increased ‘relevance’, it isn’t always the case. Even when there is a ‘behavioural‘ fit, the Prospect may or may not be ‘in market’ now… (or ever). Having a detailed understanding of your ‘Best’ prospect is still important! Yes, there are more ways to reach them, but there are also many more messages coming at them. Studies have shown that people check their devices 150 times per day. With that much content coming at them, relevance is everything. We can help you be more relevant, and more cost-effective.